This entry was posted in News on November 30, 2015 . 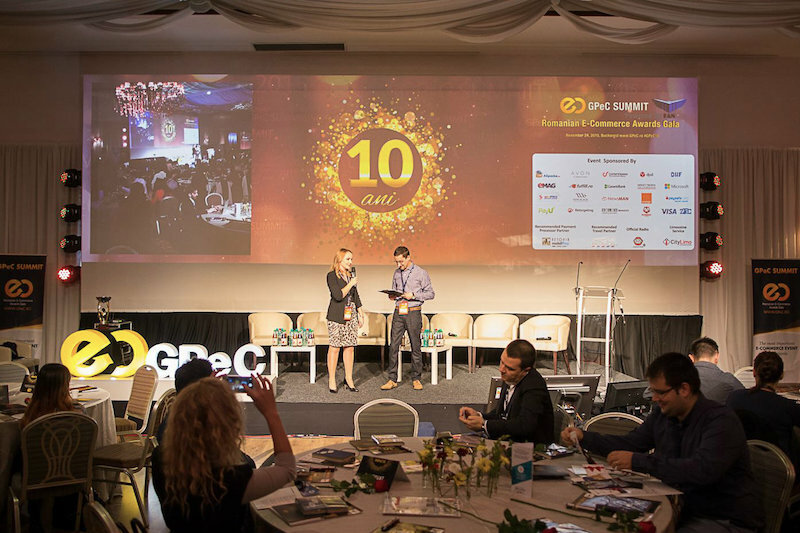 On November 24th we attended the 10th annual edition of the GPeC E-Commerce Awards Gala, the most prominent event that rewards performance in Romanian e-Commerce. The GPeC Online Shops Competition included 20 categories: Food & Beverage; Classifieds; Sports & Leisure; Automotive; Kids & Toys; Stationery; Gifts & Jewelry; Books, Magazines, Movies and Music; Home & Garden; Security & Surveillance; Fashion; Flowers; Health & Beauty; IT&C, Electronics and Home Appliances; Pet Shop; Collective Buying; Services; Shopping Club; Supermarket / Mall, Marketplace; and Travel. Our client, O-Mac, won the 1st prize in the Home & Garden category, out-ranking eleven competitors in this field. Marian Chirita, Online Sales Manager, received the award and restated his company’s determination to lead the way in providing the best services for shoppers looking for high-performance tools. O-Mac.ro is a responsive e-Commerce platform with innovative custom modules, relying on Magento, Ajax and WebServices. 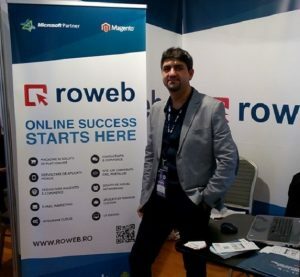 Here’s what Marian Chirita said about our collaboration: “Our ongoing collaboration with Roweb has enabled us to be involved in every detail of the development process and make sure our website fully matched our expectations. 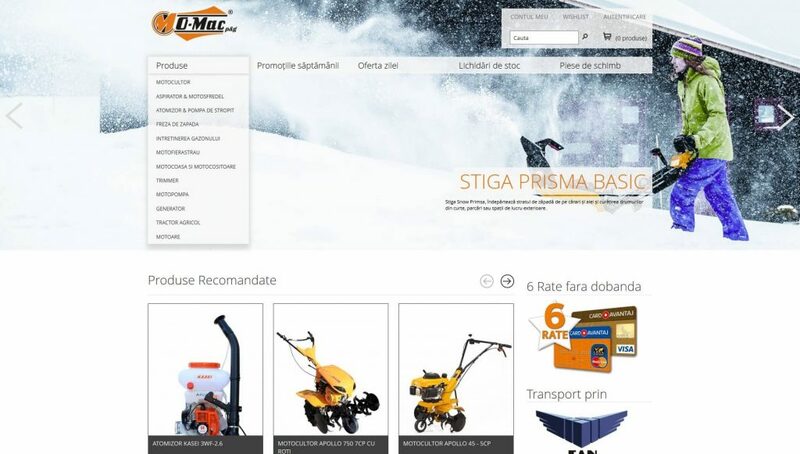 From a custom design according to our specifications, to developing functionalities that O-Mac envisioned using for the first time on the Romanian market, Roweb delivered everything we asked for. The custom tools that they built for our e-commerce website enhanced our product marketing and helped boost our sales.” Check out the entire case study here. Our colleagues Stefan Nicolae and Valentin Necsuleu were the first to congratulate our client. 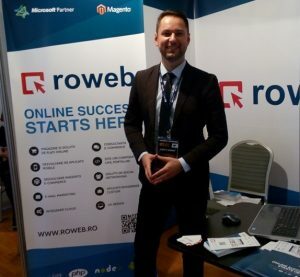 They represented Roweb at the GPeC exhibition and showcased our services dedicated to online retailers: from online store development, payment solutions and Magento services, to cloud integration, UX design and e-commerce consultancy.